Since 2009 I have recommended that churches use WordPress to create their websites in a cost-effective and easy way. But I am now changing my stance after actually working with clients and helping them manage their websites (sometimes watching over their shoulder). Drag and drop, click and edit functionality – I have used WordPress since 2006 and think it is a pretty easy system to use. But after working with clients, I have found that they just want to be able to click on their website and edit or move their content. Everything built in – People don’t want to have to add plugins, install Google Analytics, log in to one website to edit their page, another website to upload video, and another website to view their traffic statistics. They want everything to be managed in one place. Automatic updates – I’ve never logged in to a client site that didn’t need a WordPress core or plugin update. Ever. This leaves them open to security vulnerabilities and hacking. Keeping software up to date must happen automatically. This post contains affiliate links, meaning if you click a link and sign up for a Weebly website, I will receive a small referral commission. I’ve tested a dozen popular website builders, and Weebly is the only one I recommend. Weebly features this intuitive layout and makes it easy to train people on how to edit the website. 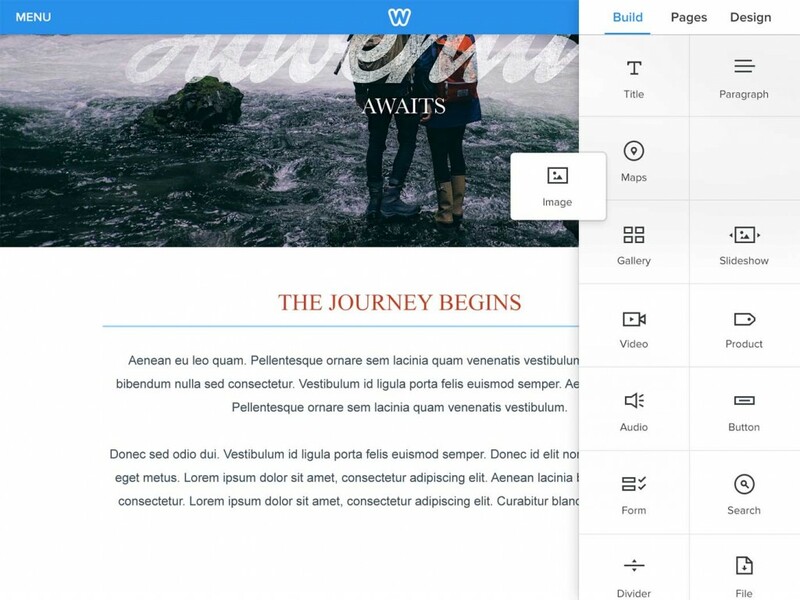 Weebly has apps for iPad, iPhone, and Android that allows you to edit your site on a mobile device. As fewer and fewer people are using computers, the ability to manage a site with an iPad is becoming critical. If you want to sell an item or two, like T-shirts, adding ecommerce functionality to wordpress is pretty complicated. Weebly is ready for basic ecommerce transactions right out of the box. Weebly websites reside on their servers, meaning that you don’t have to worry about paying for and setting up your own hosting account. WordPress is notorious for allowing vulnerabilities for hackers if you don’t constantly keep it updated with the lastest software. After working with clients, I can tell you, people don’t update their wordpress software. Just because you move to Weebly doesn’t mean you lose the ability to blog. Most churches use the blog for news and updates, and Weebly allows you to keep that functionality. 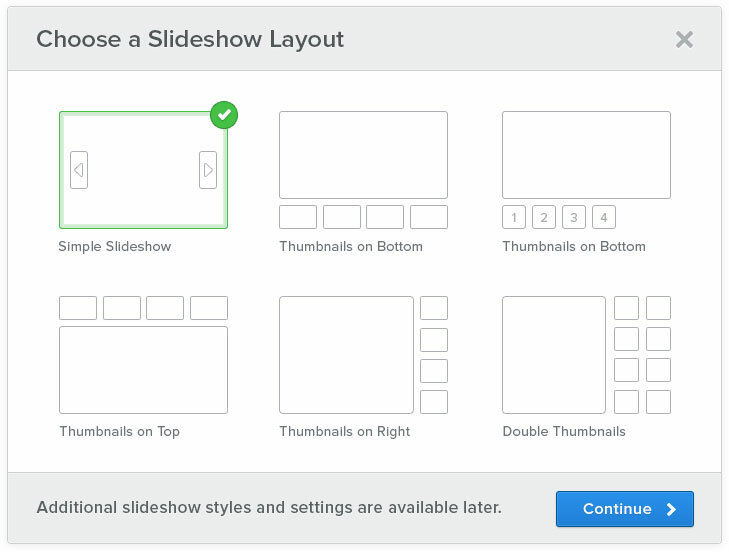 Most churches will want to feature photo galleries and slideshows, and WordPress isn’t the most intuitive option for photo galleries without installing a plugin. Weebly has great options built in to it. Forms are often very complicated to use in WordPress and require plugins. 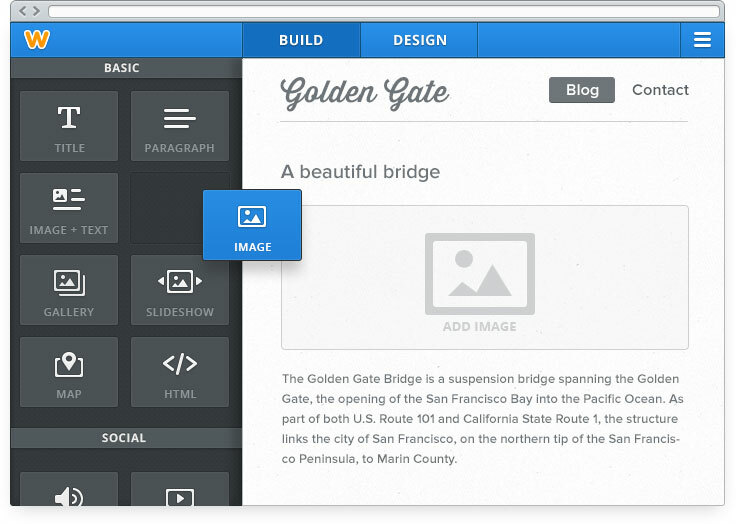 Weebly has a simple drag and drop interface. Want to have online registration for VBS? 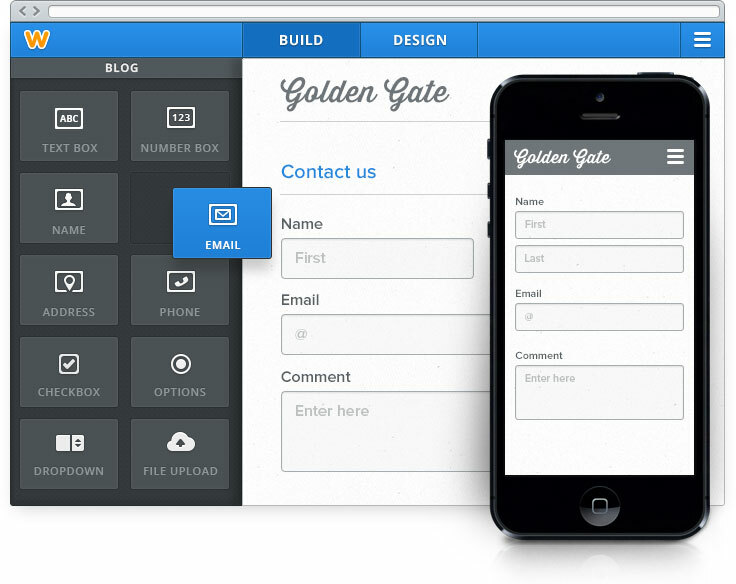 With Weebly you can easily build your registration form online. No need to install Google Analytics (although you can if you want). Weebly handles video and audio uploads with ease, so uploading sermons or multimedia content is a piece of cake. Of course, you can still embed code from YouTube or other sites if you want to go that route. Since WordPress is an open source software, if you have a problem you have to Google until you find your answer. There is no one to call or email. Because Weebly is a for-profit company with competitors, they have to be serious about customer support. If you have a problem, you can reach customer support via phone, live online chat, or a support ticket. Free: Build a basic website with unlimited pages for free on their domain name (for example: yourchurch.weebly.com). You can start here and test it out before upgrading to a higher plan. Starter $8/month: Get a free domain name, or use your current domain name. 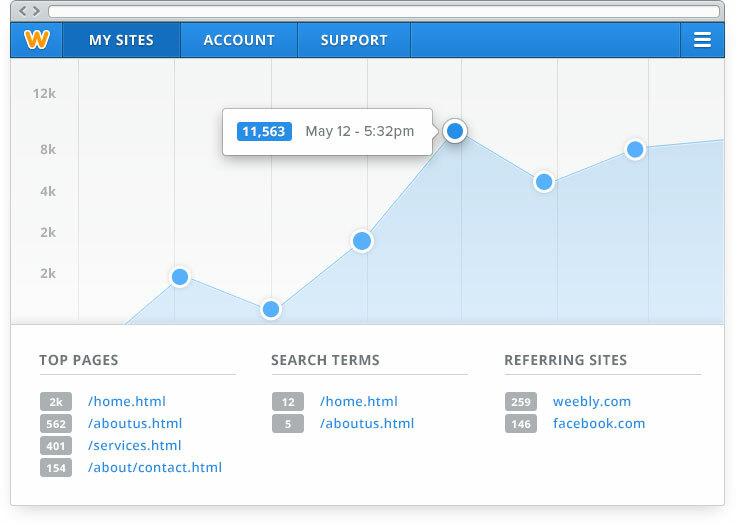 You get a few more customization options and expanded website statistics. Pro $12/month (my recommended plan): This is the plan I recommend for churches. This gives you access to the video and audio players, front page slideshow, password protection of pages, and premium phone customer support. Business $25/month: This plan if basically for serious ecommerce sites selling more than 25 products and needing inventory management and advanced sales tax and shipping calculators. It’s overkill for churches. So there you have it, for only $144 a year you get what I consider to be the ultimate do-it-yourself platform for church websites. If you are ready to sign up, click this link to start a free trial. Good day, to you. I read your blog here and it makes since to me that “Weebly” is a better fit than “WordPress”. I am currently in the final years of my BA in my mid-to-late 30’s and have been trying to figure out what type of website that I should go for and the least expensive. “Weebly” sounds like it should be a good fit, and I was wondering if there is any discounts allowed or for certain groups, i.e., Veterans, Non-profit, etc. organizations. I have a general logo, title, and slogan for this adventure that I am going to be taking up after my graduation next spring. Additionally, if you have any other pointers that would be beneficial for me to use or to share that would be great. Selah! I don’t think Weebly offers any discounts. I would like to post some more how-to articles, but I’m not sure how soon I’ll get around to that. Weebly has good documentation and tutorials, though. You can see some by clicking this link. Don’t forget, you can start out with a free account in Weebly, and if you don’t like it you’re not out any money. If you end up giving Weebly a try, let me know how it goes. We are planning to move to WordPress, but are looking at Weebly as a result of your post. However, the sermon management seems very poor with Weebly. We would like something that has better organizational options for the users (sort by series, speaker, title, etc.) than what is there by default. Is that possible with Weebly? Thanks for the comment. Advanced sermon management, like you speak of, isn’t really possible with Weebly. If you have someone who is technologically savvy to run your church website (forever), there is no question that WordPress is more powerful because it allows a ton of customization. But with that customization comes complexity. The other thing to think about: people generally don’t listen to sermons on websites anymore. A much better solution would be to podcast the sermons on iTunes and allow people to download and listen on their smartphones. If your church use sermon audio, you can embed the code in the HTML code form that weebly offers. Have all the sermon right on your site. I know it’s an old Post but thought I would put this out there. Thanks, April. Yes, it’s an old post, but people still stumble across it!